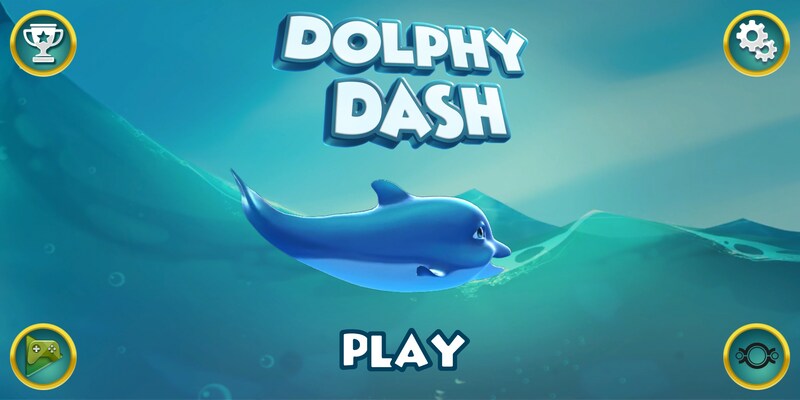 Dolphy Dash – Games for Android 2018 – Free download. 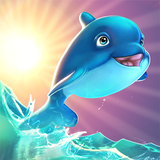 Dolphy Dash – Get ready to meet the cutest dolphin around. Get ready to meet the cutest dolphin around, Dolphy! 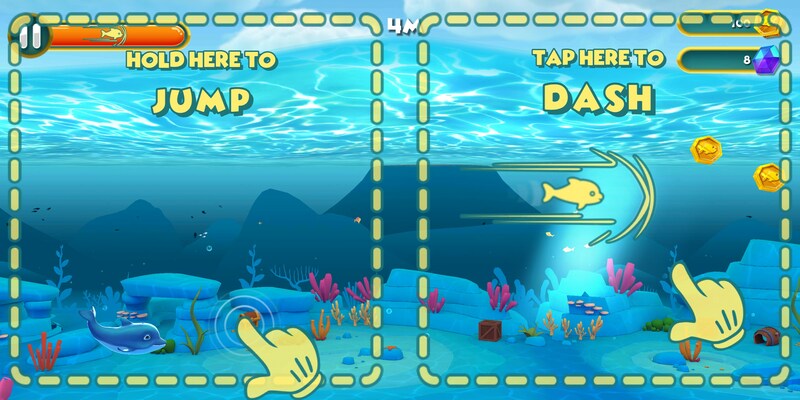 In Dolphy Dash for Android, you’ll help Dolphy navigate dangerous but beautiful waters as he (or she, the game never really clarifies) goes on the adventure of his or her life! Dolphy Dash is an endless runner with basic controls. 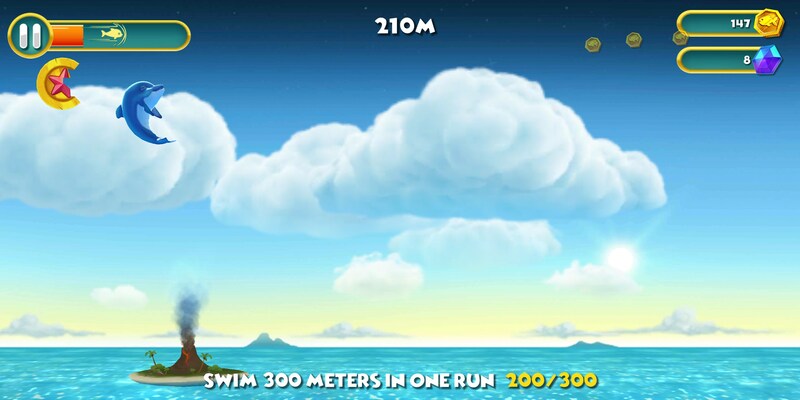 Fortunately, it’s not the type of endless runner that has you switching from lane to lane. 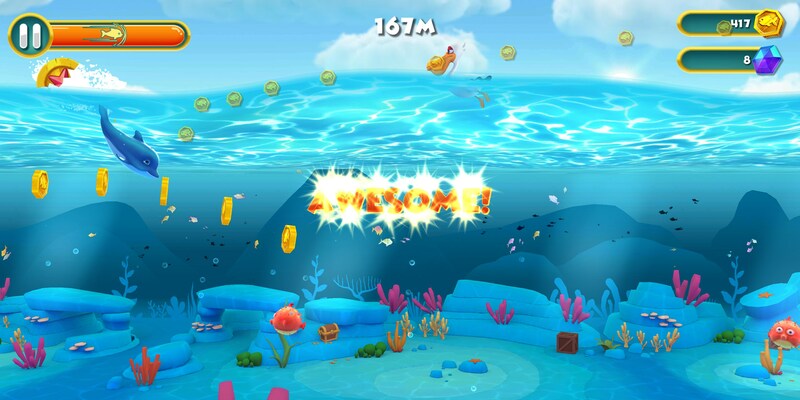 Instead, you’ll tap the right side of your screen to dash forward, destroying any enemy in your path. 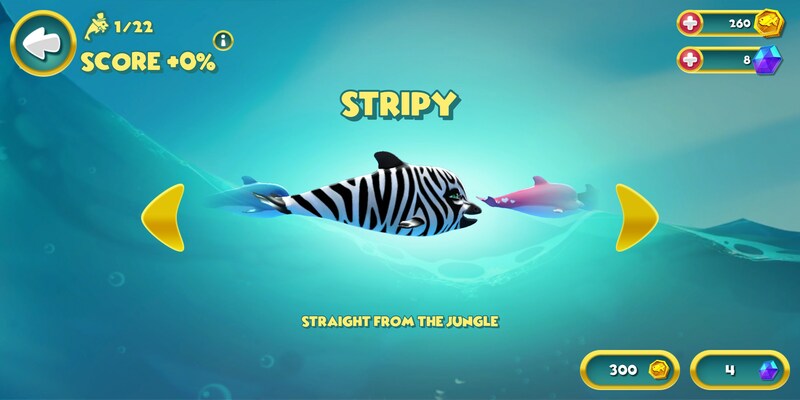 Tapping the left side of your screen will move your dolphin up, causing it to jump out of the water and perform a somersault. 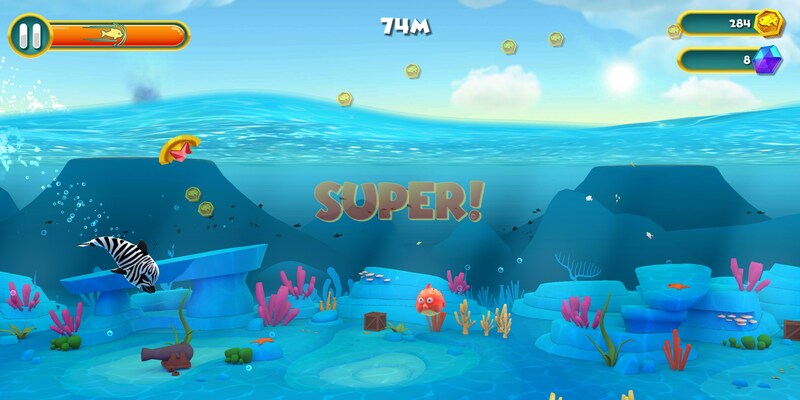 You’ll need to master both to navigate the dangerous waters and rack up as high a score as possible. I had a lot of fun playing through the game, though it does get pretty repetitive. The level never changes much, it just gets more crowded with objects to avoid. This gets really difficult because Dolphy’s movement is incredibly sensitive. 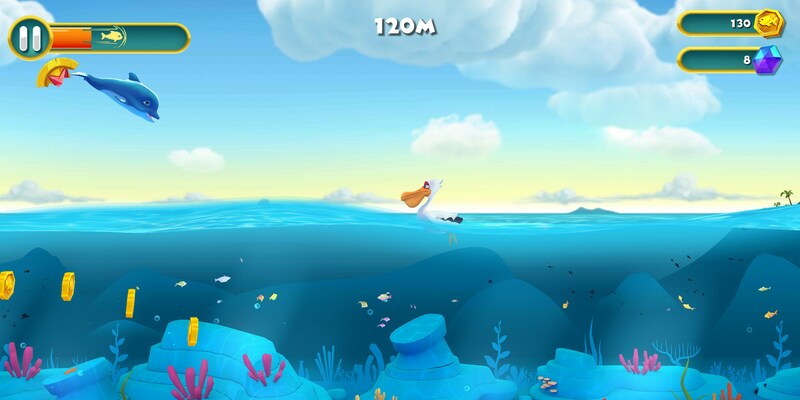 The slightest tap will send the dolphin soaring through the air, which makes avoiding obstacles really tough. 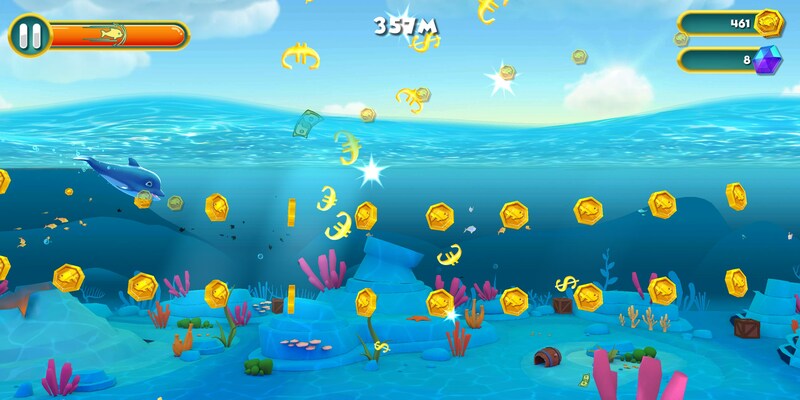 Fortunately, you earn coins pretty quickly that can be used to unlock new dolphins. These new dolphins aren’t just an aesthetic change, they’ll also increase the number of points you generate, too. 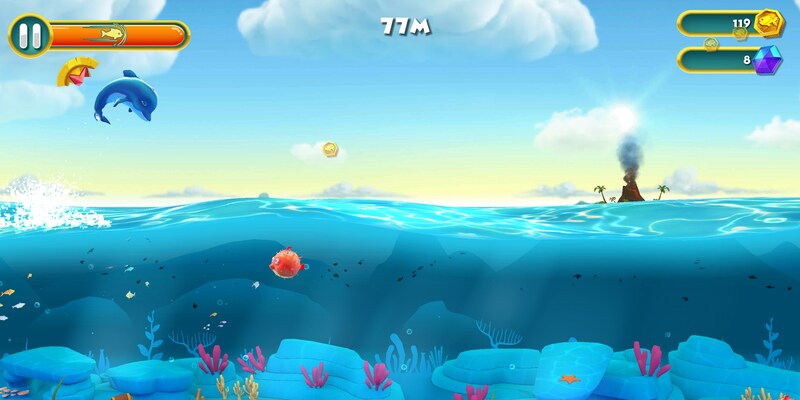 Dolphy Dash is a great endless runner but it does lack a bit of content. The dolphin skins are good but that’s about the only other content in the game. The controls could be tuned a bit, too, as they often feel too sensitive. However, even with these shortcomings, the art and overall presentation of the game really makes it stand out.